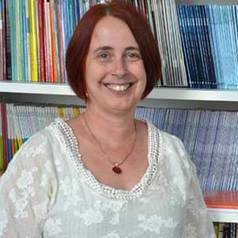 Dr Helen Stokes is a Senior Lecturer and Research Fellow at the YRC. Her research interests include marginalised young people and access to education (including trauma informed positive education), identity formation and school leadership. In 2014, she took on the role of Associate Dean (Equity and Diversity). She has worked on the Education Benalla Program and the evaluation of Berry St Education Model for trauma informed positive education. She is Academic Coordinator for Master of Instructional Leadership (MIL) and teaches the capstone project in this program. She also coordinates Leadership in Schools for the Master of Teaching Program, and is Associate Dean Equity and Diversity in the MGSE.